The term insomnia literally denotes a complete lack of sleep. It is classified according to the nature of sleep disruption and the duration of the complaint. The nature of the sleep disruption provides important information about the possible etiology of the insomnia and is also central to the selection of specific and appropriate treatment. Insomnia or sleeplessness is a condition that often causes annoyance and depriving the person of his natural rest, results in interference with his activity during the day. It indicates a relative inability to sleep that consist of difficulty in falling asleep, difficulty in remaining asleep, early awakening or combination of these complaints. Brahmi: 2 Capsules twice daily. Ashwagandha: 2 Capsules twice daily. Insomnia is subdivided into falling asleep (sleep onset insomnia), frequent or sustained awakenings (sleep maintenance insomnia) or persistent sleepiness despite sleep of adequate duration (non-restorative sleep). When it becomes a habit, it may pose a serious menace to health. The duration of symptom is necessary for determining the appropriate treatment. An insomnia complaint lasting one to several nights (within a single episode) is termed as transient insomnia. Transient insomnia is typically the result of situational stress or a change in work schedule or environment. Short term insomnia lasts from few days to three weeks. Disruption of this duration is usually associated with more protracted stress, such as recovery from surgery or short-term illness. Long term or chronic insomnia lasts for months or years and commonly reflects the effects of psychiatric or other chronic medical conditions, medications or a primary sleep disorder. It is now clear that chronic insomnia may present as recurrent episodes of insomnia, not necessarily associated with parallel variation in the underlying cause. Although some clinicians refer to this as recurrent insomnia, others suggest that this may be the typical pattern of all chronic insomniacs. The single symptom that most frequently marks the onset of insomnia is difficulty in falling asleep. There may be changes in the duration and quality of sleep, persistent changes in the sleep pattern, lack of memory and lack of concentration during the day. Other symptoms are lack of coordination, emotional instability and confusion. The most common cause of insomnia is mental tension brought about by anxiety, worries, over work, and over excitement. Suppressed feelings of resentment, anger, and bitterness may also cause insomnia. Constipation, dyspepsia, excessive intake of tea or coffee, smoking and going to bed hungry are among the other causes. Insomnia may be due to a variety of other causes also that keep the person awake altogether, or result in disturbing dreams and unrefreshing slumber. Often worrying about falling asleep also keeps one awake for a long time. There are many people with a nervous temperament whose sleep is much more liable to be interrupted by trivial causes. In temporary cases of sleeplessness or dreaming in which the affected person suffers from disturbed nights now and then, the cause is usually to be sought in some external source of irritation. Disturbed sleep can result from ingestion of a wide variety of agents. Caffeine is perhaps the most common pharmacologic cause of insomnia in sensitive patients. It produces increased latency of sleep onset, more frequent arousals during sleep, and reduction in total sleep time for up to 8 to 14 hours after ingestion. Similarly, alcohol or nicotine can interfere with sleep, although many patients use them to relax and promote sleep. Although alcohol can increase drowsiness and shorten sleep latency, even moderate amounts of alcohol increase awakenings after sleep onset by interfering with the ability of the brain to maintain sleep. In addition, alcohol ingestion prior to sleep is contraindicated in patients with sleep apnea because of the inhibitory effects of alcohol on respiration. Poisonous substances circulating in the blood, as in the case of a fever or an infection, neurasthenia or nervous weakness may also cause loss of sleep. While an occasional night of poor sleep, typically in the setting of stress or excitement about external events, is both common and without lasting consequences, persistent insomnia can have important adverse consequences in the form of impaired day time function, mood disturbances, and increased risk of injury due to accidents. A complaint of persistent insomnia requires specific investigations as to cause and intervention with appropriately designed treatment for either the underlying mechanism and/or the sleep disruption. The most commonly used drugs to treat insomnia are zolpidem, zaleplon, flurazepam etc. Although these drugs are beneficial, it is not advisable for a prolong period of time. The drugs become ineffective when taken for a long time. Moreover, one becomes dependant over the medication and becomes susceptible to various complications in the long run. 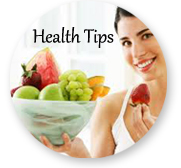 Also some Doctors advise to have foods rich in carbohydrates that are found to induce sound sleep before bed time. Carbohydrates significantly increase the levels of neurotransmitter, known as serotonin which is capable of reducing anxiety and induce sound sleep. That's why Doctors advice not to sleep on empty stomach as it causes one to stay awake for a long time. A balanced diet with simple modifications in the eating pattern will go a long way in the treatment of insomnia. Such a diet should exclude white flour products, sugar and its products, tea, coffee, cola drinks, alcohol, fatty foods, fried foods and foods containing additives. Regular active exercise during the day and mild exercise before retiring at night enhances the quantity and quality of sleep. Yoga provides physical and mental relaxation from one's disturbing problems. The patient should make an effort to eliminate as many stress factors as possible. The steps in this direction should include regular practice of any relaxation method or meditation technique; cultivating the art of doing things slowly such as eating, walking and talking. These factors though sound very abnormal but true in Ayurvedic point of view. A person who is hyperactive all the time will find it difficult during sleep also. A person who is balanced by nature also has a well balanced system. Insomnia is our most typical sign of nervous distress. 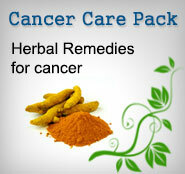 The herbs useful in treating insomnia are Ashwagandha, Brahmi, jatamansi etc. lemon balm; passion flower and chamomile are other western herbs useful in treating insomnia.